Didn’t someone try to correct her? I watch people do things that can sometimes damage equipment or hurt someone and while I appreciate the gym staff leaving people alone, I wish they would put up signs or something. IDK. Hope your arm heals soon. Congrats on the PR. It was too late to correct her…she already had too much weight. It was her third round tho…so what might jave happened is that she simply put too much weight on and then her form collapsed under it… The coaches were walking around correcting folks, but in CrossFit there is a general expectation that you should be responsible and be cognizant of your load. Nice PR and I like your message. Harming others as we WOD or lift is not on. I got 45 kilos on my front squat this week – but it was a one rep max and I was going for three and had to dump the bar. A clear sign to me to drop back and improve that form! Exactly! Awesome effort, but if it ain’t working, don’t push it just for the sake of looking good. Back off, regroup, review the mechanics and build up over time. And my apologies…thank you for the compliment on my PR! It was super dope and I was totally excited to get it! Woohoo! 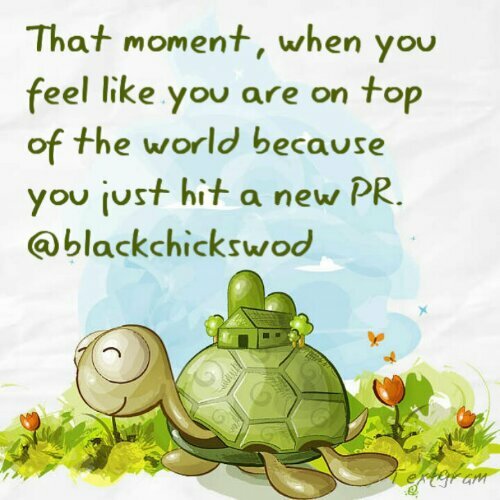 Yayy on your back squat PR lady! Thans girl! It was sooooo dope! Proud as hell!